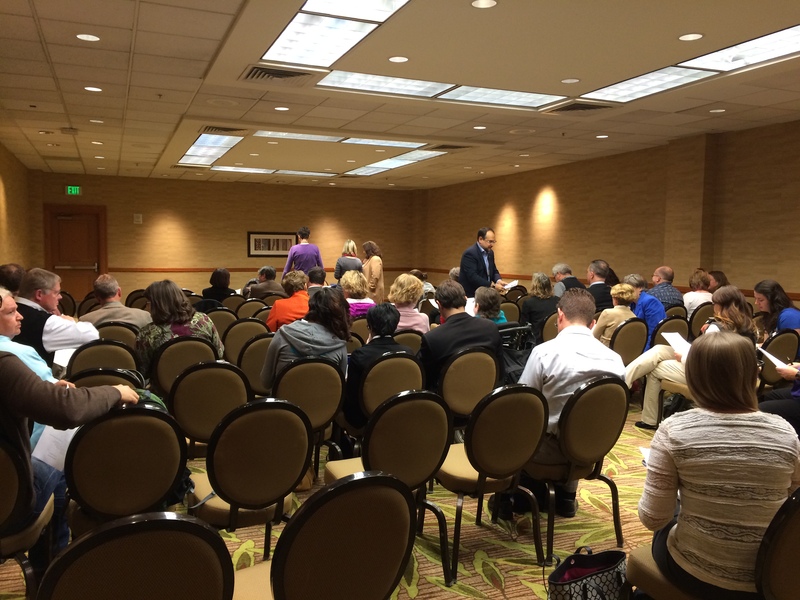 This has been a very busy day at the NCHC conference in Denver. Several panels at the conference have focused specifically on topics related to two-year colleges, and today there were meetings as well as panels. I am continually convinced that this organization and conference are valuable resources for anyone working in honors education. This morning, I attended the Two-Year College Issues meeting run by Elaine Torda and Frank Provenzano. For two hours, we shared ideas, discussed challenges, and brainstormed solutions. The meeting was well-attended by directors of two-year college honors programs from around the country. This meeting was immediately followed by the Two Year College Committee meeting, which also ran for two hours. The meeting was led by Committee Chair, Elaine Torda. The agenda included leadership issues, committee reports, articulation agreements, and conference planning for next year among other things. I left a few minutes early to get to my panel, “Two-Year College Capstones: Transitioning Students from New to Established Scholars.” I was joined by my two fellow panelists: Alannah Rosenberg of Saddleback College and Bruce Thompson of Frederick Community College. 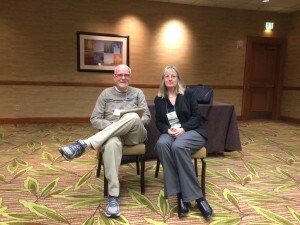 Unfortunately, Melody Wilson of Portland Community College couldn’t attend the conference this year. Rain Freeman, an honors student at American University, moderated the panel. The panel went well and generated some good questions from the audience. I just hope that in the future, so many sessions focusing on two-year college issues won’t be scheduled opposite each other. There aren’t that many sessions on these issues, and it seems like they could be spread out over a few days or at least over the course of a day. After a quick lunch and walk through downtown Denver, I returned to the hotel for the Western Regional Honors Council meeting. Much of the conversation centered on where the regional conferences will be held in the next few years (2015 University of Nevada, Reno; 2016 UC Riverside; 2017 Southern Oregon University). I’d like to see the conference come to Lane at some point. I also had a chance to talk with Mark Clark from the Oregon Institute of Technology (OIT). We are both interested in a possible articulation agreement between our honors programs, and he will put me in touch with the person who handles these agreements for his institution. All in all, a great meeting! Next up: the reception for the Assessment and Evaluation Committee, which met Wednesday evening. The reception is for this year’s graduates and alumni of the NCHC Summer Institute on Assessment and Evaluation. I’m heading home tomorrow with a lot of ideas and plans after this year’s conference. 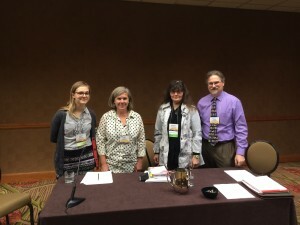 This entry was posted in NCHC Conference, NCHC Two-Year College Committee, Uncategorized and tagged Alannah Rosenberg, assessment, Bruce Thompson, Elaine Torda, Frank Provenzano, honors conferences, Mark Clark, NCHC, NCHC Summer Institute, Rain Freeman on November 8, 2014 by Ce Rosenow.